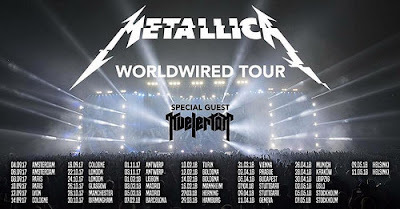 METALLICA is in town for two sold-out events at Ericsson Globe here in Stockholm. The first show was yesterday and next one is tomorrow and I will get the opportunity to be there to watch them once again. So today we pick a classic from them. 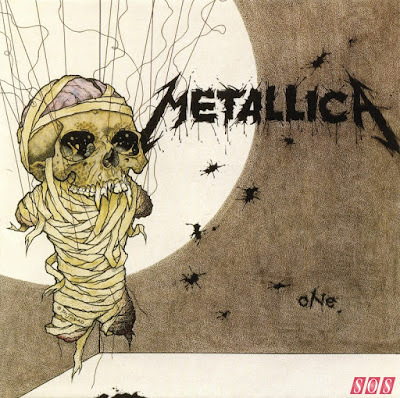 "One" is a song by American heavy metal band METALLICA. It was released as the third and final single from their fourth studio album, "...And Justice for All" (1988). 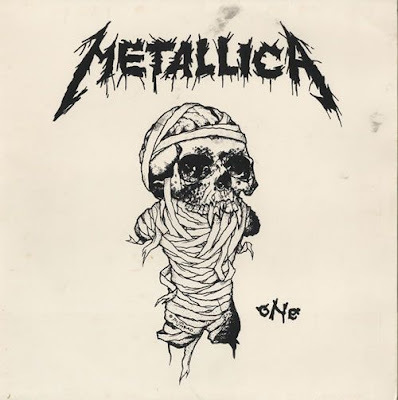 Written by band members James Hetfield and Lars Ulrich, "One" is an anti-war song that portrays a World War I soldier who is severely wounded - arms and legs blown off by an artillery shell, blind and unable to speak or move - begging God to take his life as he feels constant pain. His only hope is to devise a way to communicate with the hospital staff. In the music video, he jolts in the hospital bed, spelling "Kill me" in Morse code. Production of the song was done by the band alongside Flemming Rasmussen. METALLICA performed "One" for the 31st Annual Grammy Awards show broadcast from Los Angeles in 1989. The next year, the song won a Grammy Award for Best Metal Performance, the first ever win in that category. The band also performed the song alongside pianist Lang Lang at the 56th Annual Grammy Awards in 2014. The song is one of the band's most popular pieces and has remained a live staple since the release of the album, making this the most played song from "...And Justice for All". For the first 17 seconds of the song, there are a series of sound effects with a battle theme, an artillery barrage and helicopter are heard and continues slightly over a clean tone guitar intro by Hetfield before Kirk Hammett comes in over the top with a clean-toned solo. Ulrich's drums come in and continue until each chorus when the guitars become heavy and distorted before returning to clean. There is a second solo by Hammett halfway through the song, before lyrics cut out and the song gradually gets more heavy and distorted until the "machine gun" guitar build up (played alongside double bass drums) before the next, often highly praised, guitar solo by Hammett, and a final dual solo by Hammett and Hetfield. The song begins in 4/4 time, and later 3/4 as well as 2/4. "One" was the first Metallica song for which a music video was created. The music video, directed by Bill Pope and Michael Salomon, debuted on MTV on January 20, 1989. The video, shot in Long Beach, California, is almost entirely in black and white and features the band performing the song in a warehouse. It features dialogue and several scenes from the 1971 film adaptation of Johnny Got His Gun. Timothy Bottoms can be seen starring as Joe Bonham, the main character in the novel (written by Dalton Trumbo and published in September 1939; the basis for the 1971 film). Three versions of the "One" music video were made; the first (the longest, album version) contained scenes of both the band and scenes from the movie. The second was simply a shortened version of the first, and the third, often known as the "jammin' version", lacked scenes from the movie (the song and video fade at the last bridge in the third version). Like many other music videos from METALLICA, "One" puts great emphasis on the performances of the band members as musicians, with many shots of Hetfield, Newsted and Hammett's hands picking and fretting. 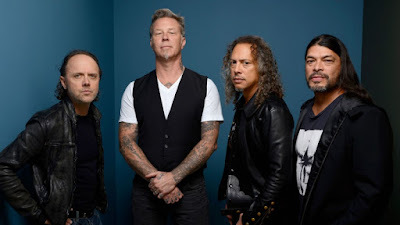 The video features the band members in a typical early METALLICA fashion: playing (as if in rehearsal) in some sort of warehouse, in tight formation around Ulrich's drum kit, and dressed in casual street clothes and with long untamed hair. In the music video, it can be clearly seen that both Hetfield and Hammett are playing ESP guitars; Jason Newsted is on a 5-string Wal bass. It is also clear that Newsted is playing bass with his fingers at the start of the song but later switches to a pick. "One" is a favorite of many METALLICA fans, and therefore is a fixture of the band's live performances. When played live, the song is usually played with guitars tuned down by one semitone (a permanent fixture of their studio and live work since the post METALLICA era, save for "Death Magnetic" in the case of the former) and is preceded by pyrotechnics and the same sounds of war such as machine guns, and bombs exploding as heard on the recorded version. The song also features heavy strobe lighting during the heavier half of the song, namely before the Hammett solo. When METALLICA appeared on The Howard Stern Show in September 2013, James Hetfield explained that this was not so much an anti-war song as an observation. "War is a part of man," he explained. "We're just writing about it. It's not good or bad, it's just a thing." Hetfield also revealed that he could relate to the character in the song because of his difficult childhood. He said that he often felt like a "prisoner in his own body," with no means to escape. His father left when he was 13, and his mother died a few years later. Listen to ”Metallica - One" on Spotify!